But no, we’re supposed to believe it’s just a mystery. How curious! Emails of 6 other prominent IRS officials including former CoS Nikole Flax are missing. Hers disappeared mid-December of 2011. Just more crazy, right-wing conspiracy mongering, obviously. Darn those Tea Party types, with their facts and insufferable questions!! How much is a “smidgen” of corruption, anyway? Nope, nuthin’ to see here. Look away, look away!! “I think it’s entirely reasonable. And it’s fact,” incoming White House press secretary Josh Earnest told reporters aboard Air Force One Monday. “You’ve never heard of a computer crashing before?” he asked. Like I said at the beginning: they’re simply lying. There’s not a scintilla of a chance that this is the truth. None. They are lies: big, bold, bald, blatant ones. They’re lying, we KNOW they’re lying, and THEY know we know they’re lying. And they don’t care. Welcome to your modern-day federal government, everyone. 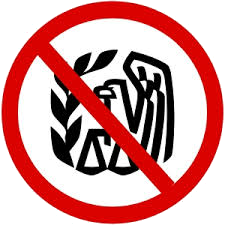 This entry was posted in government, IRS, Obama, politics and tagged Congress, emails, IRS, IRS Commissioner, John Ekdahl, Lois Lerner, missing, politics, scandal. Bookmark the permalink. 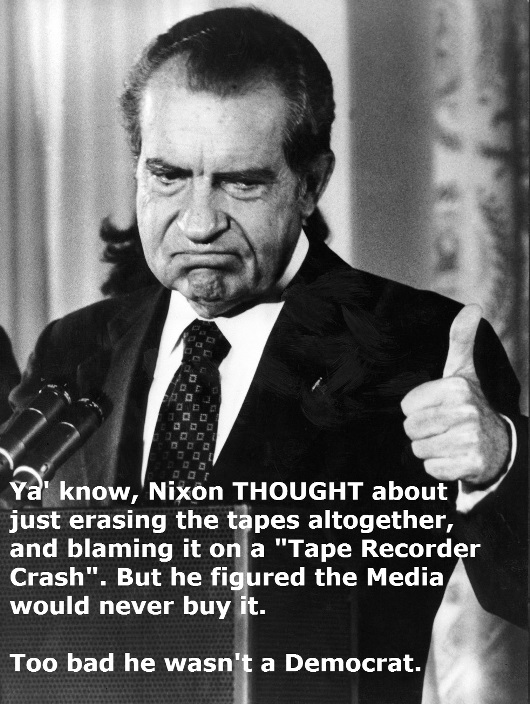 Obama should enjoy the same fate that Nixon did. And worse, most Americans are too busy taking selfies and watching reality TV to give a hoot. If it does not intrude on their daily lives, then all must be well. Actually, this isn’t just a “smidgen” of corruption…it’s a whole bushel basket full.